Tiny quail make an easy and impressive dinner. Quail cook up quickly in a hot oven. Pick up some fresh, whole quail from the butcher and cook them by browning them on the stove top, then finishing them in the oven to get perfectly cooked quail with a nice, crusty sear. 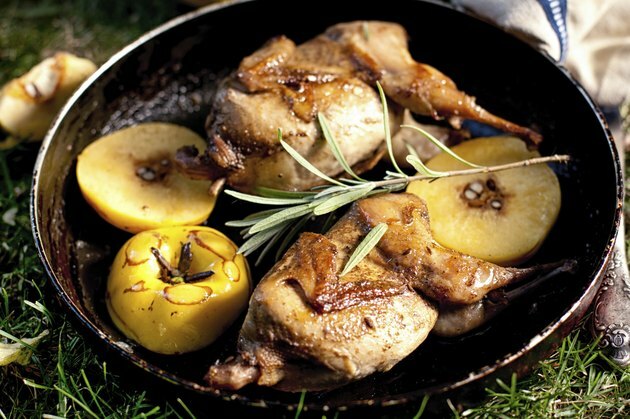 You can also smother the quail in gravy and cook them in the oven to make them tender and juicy. Pour the milk mixture over the quail. Cover the dish with aluminum foil. Try marinating the quail overnight in the refrigerator using your favorite marinade before roasting to keep the meat moist and give the quail an extra boost of flavor.